At IndianOil, we believe that it is possible to fuel the energy needs of the Nation while also protecting people and the environment. We are committed to conducting business in a manner that is compatible with the environmental and economic needs of the communities in which we operate, and that protects the safety and health of our employees, those involved with our operations, our customers and the public. IndianOil accords topmost priority to conducting its business with a strong environment conscience, ensuring sustainable development, safe workplaces and enrichment of the quality of life of its employees, customers and community at large. All refineries are certified to ISO:14064 standards for sustainable development as well as for the Occupational Health & Safety Management System (OHSMS/OHSAS018001), besides having fully equipped occupational health centres. Compliance with safety systems, procedures and environment laws I monitored at the unit, division and corporate levels. As Indiaï¿½s leading oil & gas corporate, IndianOil remains steadfast in its commitment to excellence in Safety, Health and Environmental (S,H&E) performance. This publication showcases how IndianOilPeople are relentlessly pursuing multiple commitments ï¿½ at the operations, social and environmental levels ï¿½ to fully realize IndianOilï¿½s potential as the prime mover of a resurgent India. In the course of refinery operations, waste water, flue gases and fugitive emissions and solid wastes are generated. Refineries are also significant consumers of scarce resources like water and energy. Thus, pollution control and resource conservation activities are a priority area for environment management at IndianOil. Effective treatment of wastewater and recycling, energy conservation and pollution abatement are examples of integrated activities that result in both pollution control and resource conservation. The different aspects of Environment Management in IndianOil are detailed below. Use of water and quality of effluent discharged are carefully monitored. Our refineries are equipped with a network of underground sewers for segregated collection of various wastewater streams, which are subjected to precise treatment in well-designed effluent treatment (ETP) facilities involving physical, chemical and biological processes. State of art equipment have been provided in the ETPs like Tilted Plate Interceptor (TPI), Dissolved Air Floatation (DAF), Bio-tower, activated sludge basins, dual media filters for treating oily wastewater and hydrogen peroxide / wet air oxidation treatment for spent caustic streams etc. These treatment facilities are backed by sophisticated instrumentation and real time monitoring systems for close and precise monitoring. In Marketing and Pipeline locations, effluent water is routed through oil water separator. 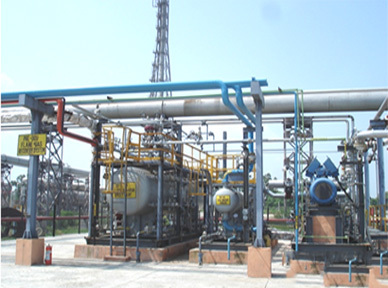 Treated effluent streams are reused / recycled for various purposes in refineries like make-up for fire water, cooling tower, coke cutting in Delayed Cokers, etc. 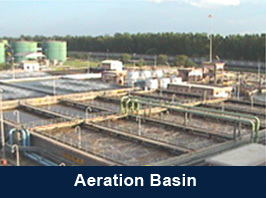 Sour water generated in various units is stripped of contaminants such as ammonia and H2S and recycled in de-salters besides using it for process flushing requirements. Advanced treatment systems like Ultra Filtration, Reverse Osmosis etc. are used to convert treated effluent to de-mineralised water or for use in cooling towers as make-up water. 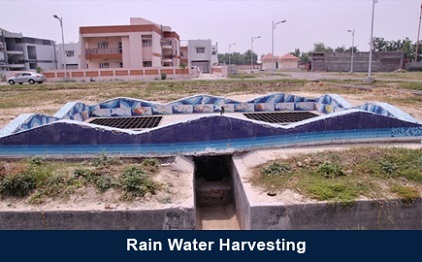 Rainwater harvesting structures have been put up in all refinery townships, Marketing and Pipeline installations and R&D Centre for recharging groundwater. All these steps have led to 80-95% wastewater being reused in our refineries, which has resulted in substantial reduction in fresh water consumption. Utmost attention is given to control / reduce emissions in our refineries. Major sources of air emissions are flue gases from boilers and heaters, FCC regenerators and Sulphur Recovery Units. Hydrocarbon leaks and evaporation during storage, handling and transportation of petroleum products and crude oil are sources of fugitive emissions. IndianOil has adopted the following measures to control emissions & effectively disperse pollution from flue gases. Tall stacks for effective dispersion of pollutants. Use of low sulphur fuel oil/ sweet natural gas/ desulphurised refinery gas in boilers and heaters to minimize SO2 emission. Use of low NOx burners. Hydrogen Sulphide generated during desulphurisation of refinery gas is converted to elemental sulphur in Sulphur Recovery Units. Sulphur dioxide emissions from Catalytic Crackers are controlled by effective feed sulphur management. Flue gas scrubbing at FCC units at Haldia & Barauni Refineries for arresting emission of sulphur dioxide and particulate matters. Carbon monoxide from FCCU regenerator is incinerated in CO Boilers and the resultant energy is utilized for steam generation. Use of floating roof tanks for crude and other light product services & Mechanical seals in pumps for minimizing fugitive emission of hydrocarbons. Use of closed blow down vessels & safety release to flare system for arresting any emission of hydrocarbons during all situations, normal, abnormal as well as emergencies. Continuous reduction in fuel consumption by ENCON measures, heat integration and increased use of hot feed in downstream processing units. For careful monitoring of emissions, continuous online analyzers have been installed in all the refinery stacks. On-line connectivity is also being provided to Central and State Pollution Control Boards. Mobile vans and fixed monitoring stations equipped with sophisticated instruments for monitoring ambient air quality have also been provided in our refineries. In Marketing installations, all vehicles under contract are required to have Pollution Under Control certificates that are checked routinely. ï¿½Prevent, Reduce, Reuse and Recoverï¿½ are the fundamental principles that govern all our activities, more so in case of solid waste management. Oily / chemical / biological sludge generated from storage tanks during refinery turnarounds or from the basins & storage tanks of our effluent treatment facilities are mechanically handled. Melting pits with skimming pumps, sophisticated hydrocyclones, centrifuges etc. are employed for de-oiling the sludge. After de-oiling, residual sludge is recycled in Coker units or bio-remediated in well-designed environmentally safe sites. Bioremediation in confined bioreactor is the latest innovation in bio-remediation of residual oily sludge developed in-house by IndianOil R&D. Called Oilivorous-S, this environmentally safe and clean technique was called to the fore to manage the oil spill at Ennore near Chennai in Jan-Feb. 2017, validating IndianOilï¿½s focus on environment protection. Spent catalysts and other wastes are sent to approved recyclers for gainful use in their manufacturing processes like FCCU catalyst in cement kilns. Vermicomposting is practiced in our refineries to process domestic waste from the industrial canteens. Accidental oil spills, whether on land or water (including both sea and fresh water) have the potential to cause serious problems for coastal and marine wildlife, especially corals, fishes, birds, mammals and reptiles. IndianOil business largely depends on crude imports through VLCC and other tankers which are unloaded through single buoy mooring (SBM) systems. Thus concern for marine life ensures that IndianOil has a well-structured system in place to plug / handle all possible sources of oil leaks including oil tanker spills, non-tanker ship spills, pipelines from SBM to onshore tanks and tank farms or may be cross country crude oil and product pipelines. IndianOilï¿½s Tiered Preparedness and Response enables a structured approach to both establishing oil spill preparedness and undertaking a response. It helps categorise potential oil spill incidents in terms of their potential severity and the capabilities that need to be in place to respond. Considering the regulatory framework under which this offshore marine oil spill is managed, other than the Environment Protection Act-1986 which is the basic act for all environmental activities in India, the most important and direct help comes from the National Oil Spill Disaster Contingency Plan briefly known as NOS-DCP. The NOS-DCP is the only national plan dealing with oil spill response, which delineates the responsibilities of various resources. Indian Coast Guard is the nodal agency for NOS-DCP (for handling the oil spill in Indian waters). In accordance with the ï¿½E-Waste (Management and Handling) Rules, 2011, IndianOil ensures that e-waste is disposed by way of buyback against new procurements or through government approved trading agency M/s Metal Scrap Trade Corporation (MSTC). The study undertaken jointly with IOCL-R&D. Major sources of noise pollution are engines, compressor house, turbine hall, furnace etc. 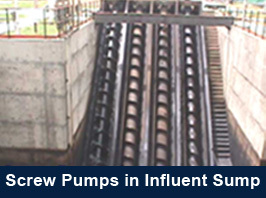 IndianOilï¿½s units and installations have adopted following measures to control noise at source. Personnel Protective Equipment (PPEs) like ear plugs, earmuffs, etc. are also used in identified high noise areas. IndianOil regards ecological and environmental protection as the focal point of our environmental conservation programmes. To give back to the nature, large scale tree plantation activities are carried out at all our installations. Scientifically designed green belts have been developed, which serve as a pollution sinks and enhance aesthetics. Over 18 lakh trees already adorn our green belts. Ecological Parks have been developed at Refineries with lush green cover that serve as natural habitat for a large number of birds. More than 300 species of resident and migratory birds thrive in these Eco Parks. Over 285 species of native and exotic plants and trees grow there. Further, as a green initiative, e-portals have been launched and payments, data transfer are done using the electronic media. This results in considerable saving of paper, thereby preventing cutting of trees. Mangrove plantation has been carried out in 100 Ha of Marine national park and marine sanctuary area near Narara bet (Vadinar). Villager awareness programmes are also conducted in the villages along the Right of Way (RoW) of pipelines to sensitize the villagers regarding environmental impact of oil leakage from the pipeline during pilferage activities as well as about collateral damagers in such incidents. Energy conservation is at the heart of IndianOilï¿½s decision regarding technology selection for refinery processes and its operation cycles. Improvements have been made possible through implementation of various energy conservation measures coupled with operational improvement by adopting advanced technology and best operating practices. Sinceg 2010, benchmarking studies are carried out once every two years under the aegis of Centre for High Technology (CHT), MoP&NG to rank performance of IndianOil Refineriesï¿½ with peer groups and the best in the class refineries worldwide. Identified gaps are bridged through implementation of suitable ENCON (Energy Conservation) measures. In addition, profitability improvement and optimisation studies are regularly carried out by external agencies such as KBC, Mckinsey, NTPC, etc. 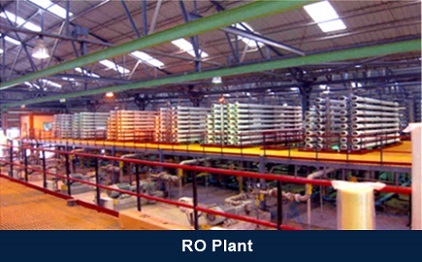 as well as by in-house Process Design and Engineering Cell (PDEC) of IOC. IndianOil has progressively upgraded quality of auto fuels in terms of emission related parameters and to meet the quality requirement of new generation vehicles. Our refineries have implemented various projects for meeting this objective. Past few years have seen a rise in green innovation and increasing importance of capital investment in green projects, with India being rated as one of the most attractive country for green project investments. Green fuel initiatives of IndianOil started in 1990s and auto fuels quality has been progressively upgraded in terms of emission related parameters and to meet the quality requirements of new generation vehicles. Between 2000 and 2010, an investment of approx. Rs. 20,000 crore was made on various fuel quality up-gradation projects in IndianOil refineries. In addition, we are also working to emerge as a major player in Natural Gas business which is a less polluting fuel. We are targeting quantum growth in LNG imports, infrastructure and marketing, besides taking up city gas distribution to replace other polluting fuels in these cities. Natural gas is being supplied to industrial, commercial, transport and domestic consumers. Also, sale of Auto LPG has considerably increased over the years. IndianOil is gearing up to meet the challenging deadlines of making available 100% BS-VI quality auto fuels by 1st April 2020. For this, the Corporation is investing approx. Rs. 15,400 crore in major refinery upgrades, changes in supply logistics and other related transitions. IndianOil has ambitions plans to broaden its energy basket with alternative energy options; the Corporation envisages setting up 260 MW of renewable energy (wind and solar) over the next five years. Wind-power systems totaling 168 MW have been installed in Gujarat, Andhra Pradesh and Rajasthan. The total installed capacity of solar PV is 20 MW, which includes 9.5 MW grid-connected solar projects and 10.5 MW off-grid projects. The Corporation has so far converted about 6,600 of its fuel stations to operate on solar energy as a major initiative to reduce carbon emissions. Their cumulative capacity is about 26 MW. About 560 rain-water harvesting systems have been installed at various refineries, terminals, depots and housing complexes of IndianOil. With a total catchment area of 950 hectares, about 3 billion litres of water is being harvested annually. India has committed to cut carbon emissions by 33-35 per cent by 2030 and has set an ambitious target of 175 GW of renewable energy-based capacity by 2022. In support of this, IndianOil is working to raise its grid- connected renewable energy capacity from 188 MW (wind-168 MW, solar-20 MW) currently to 260 MW by the year 2020. It is also putting up 2G-ethanol & waste-to-energy projects. IndianOil has also committed to reduce its carbon footprint by 18 per cent and water footprint by 20 per cent by the year 2020. Climate change and global warming arising out of human activities is the biggest concern all over the world. Meeting this challenge requires new ways to assess the scale of economic activity and its impact on environmental systems. Carbon footprinting of all our refineries has been done. 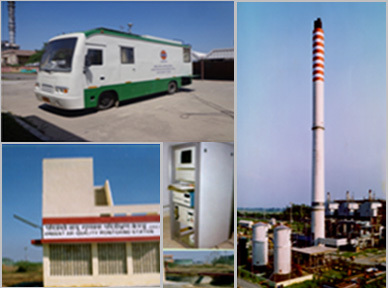 As a responsible corporate citizen, IndianOil is aware of its responsibility towards not only mitigating environmental pollution due to its operations but also the role it can play in improving the environment by making products which cause least pollution & towards this end, it has made massive investments in setting up necessary infrastructure.